Does Your Email Marketing Measure Up? One of the oldest weapons in an online marketer’s arsenal, email marketing, has stayed the ground over the years—ever since we got our first Hotmail IDs. While every passing year brings a new marketing favorite, smart marketers have hung on to this tool as they see through the hype, trusting results instead. And while we know email marketing is at the top of the digital food chain, are you sure you are giving it the attention it deserves? 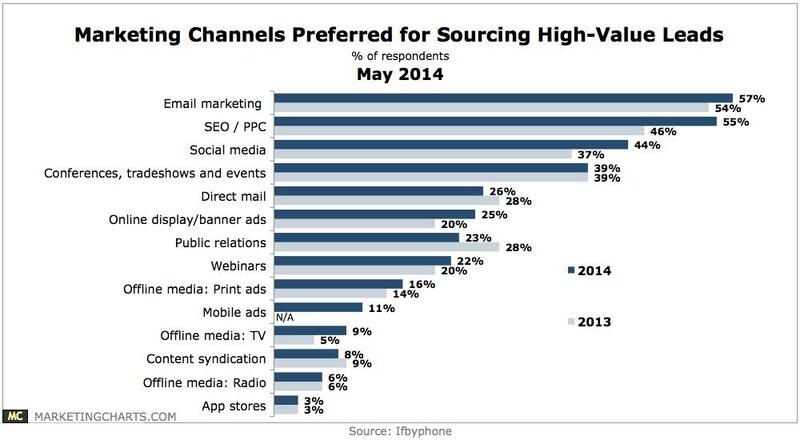 Does your email marketing campaign have the chutzpah to match the top brands in the business? Have you given enough consideration to this platform at all? What should you be focusing on to get better at email marketing? All this and more, coming right up. Nearly all Internet users use email. Email marketing is one of the most reliable ways to get your target audience to respond to a new product, service, a great new deal or just to inform them about new developments in your company. 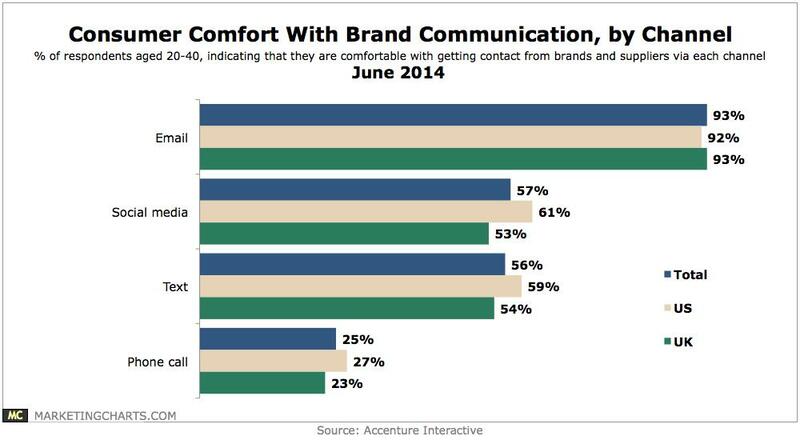 In fact, a survey conducted by Accenture Interactive showed customers preferred brands contacting them via email when compared to any other mode of contact. Studies have consistently shown conversions from email marketing to be among the highest among all marketing initiatives modern businesses adopt. For every $1 spent, $44.25 is the average return on email marketing investment. Conversion rates for email marketing stand at 3.84 percent in Q4 of 2013, while search and social stood at 2.23 percent and 0.74 percent respectively. Not only does email marketing offer high conversion rates as compared to other marketing tools, it also gives marketers the most valuable leads—ahead of SEO &PPC. Of the most fundamental metrics of email marketing, open rates remain the most important. Open rates are a measurement of many factors—interesting subject line, content relevance, deliverability, bounce rate, list health, opt-in or not and frequency of emails sent. A high open rate means you have got most of these factors correct. If you have low open rates, you probably lack strong subject lines or send out emails too frequently for the liking of a majority of your readers. It could also be a sign of deliverability issues—quickly investigate the reasons before your email list becomes less and less useful. The click rate of an email is calculated by dividing the number of unique clicks in the email by the number of total recipients. This number is then expressed as a percentage. You can also compute the ratio of your clicks to the number of links in the email or to the size of your list. High CTRs are a result of great email design optimization, relevant content, exciting offers/deals or a combination of all of these. 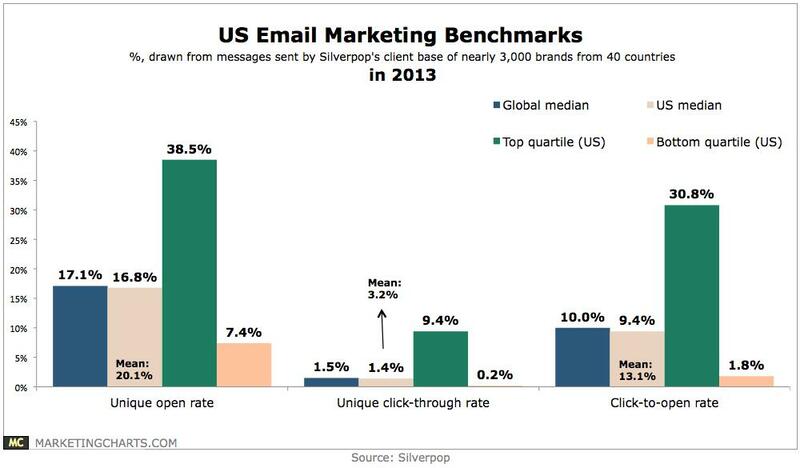 This is the metric that actually decides how effective your email campaigns are. A high click to open rate (CTOR) means your email content is enticing and relevant. CTOR is a quantification of how interesting the content of your email is, and how far it motivates a reader to click through to your landing page. 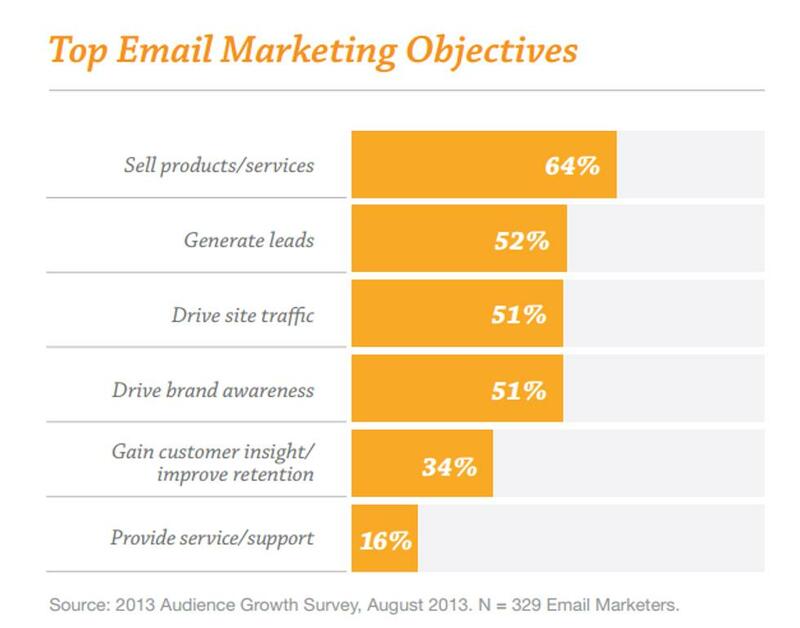 Email is used by top marketers as a strong revenue generation tool. It is low cost and easy to roll out. The messaging, timing and recipients of an email campaign are in control of the sender. Email campaigns carrying strong deals unavailable elsewhere are a standard tactic used to push sales during slow times. Email is used as a lead generation tool on a daily basis by sales teams. This is more effective as a lead generation tool in a B2B setup than a B2C one, in which case follow ups and selling to individual customers based on email leads can become daunting. These dual goals share the third spot on marketers’ objectives for email campaigns. Email campaigns with high CTRs are a solid traffic driver to any brand’s website. While many brands use email marketing for generating brand awareness, this is not a recommended platform for creating brand awareness, unless it is intended to inform users of a new brand or product line from a company the recipient is already familiar with. Unsolicited emails have poor open and click rates; more users are inclined to mark the email as spam and thereby lower the authority of the sender’s email domain, which in turn negates the effectiveness of all future email campaigns from that domain. These are definitely not the only metrics, methods or objectives they work with—there are obviously a lot more, customized to individual business challenges. But these numbers do give you a yardstick to kick off or guide your own email marketing program. Do you see anything familiar in the data above? That’s reason to celebrate! It is even more reason to see how you can keep going down this road and make email marketing contribute to your business incrementally in the years to come. Ready to start generating better emails and content for marketing automation? Check out our free guide here. Tracy Vides is a content marketer and social media consultant. 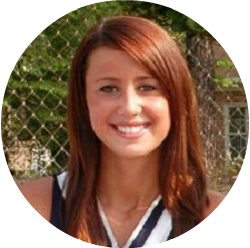 She works with small businesses and startups to increase their visibility. Although new to the digital marketing scene, Tracy has started off well by building a good online reputation for herself, with posts featured on She Owns It, Business 2 Community and elsewhere. She is @TracyVides.